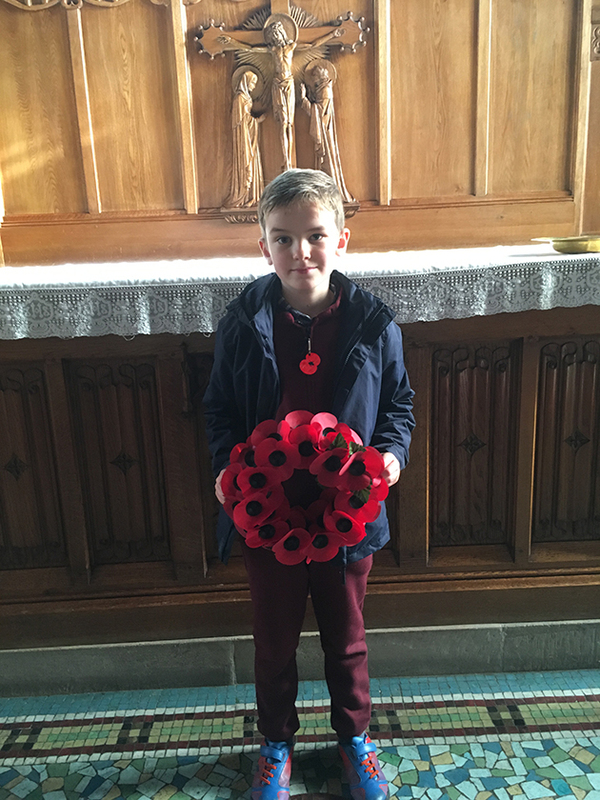 A ‘weeping pulpit’ was at the centre of the parishes of Tycoch and Killay’s Remembrance Day events. 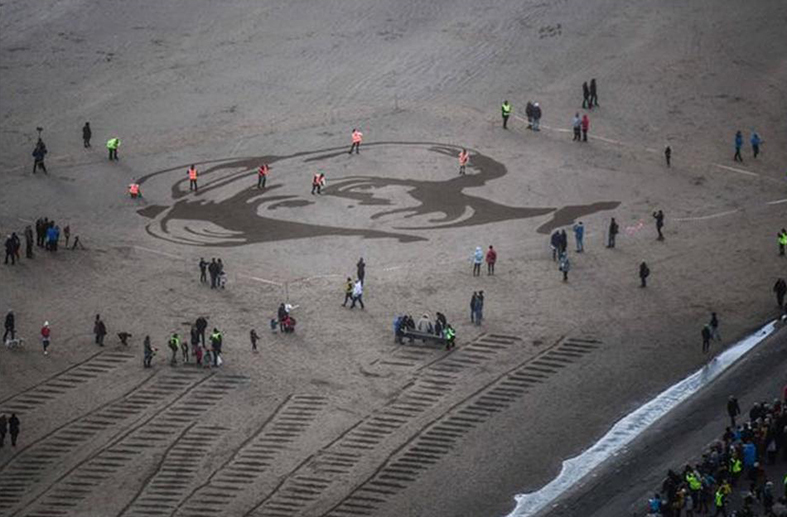 Bells were rung in all three churches and members were also at Swansea Bay, where a portrait of Dorothy Mary Watson, an 18-year-old worker at the Pembrey Munitions Factory, Llanelli, who was killed in an explosion at the site. Vicar, Canon Phillip Gwynn, said: “The two parishes respectfully remembered on 11th day of the 11th month a century of military deaths. 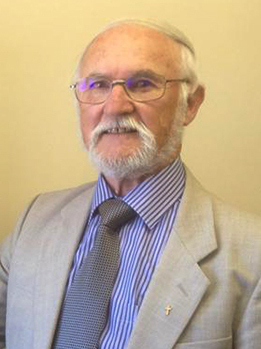 This was done in a number of ways – and with the help of young members of the congregations. “Firstly in All Souls Church, a number of ladies had been knitting poppies, following an initial suggestion from Celia Hall. These poppies were arranged around the pulpit, to great effect this was dubbed the ‘weeping pulpit’. 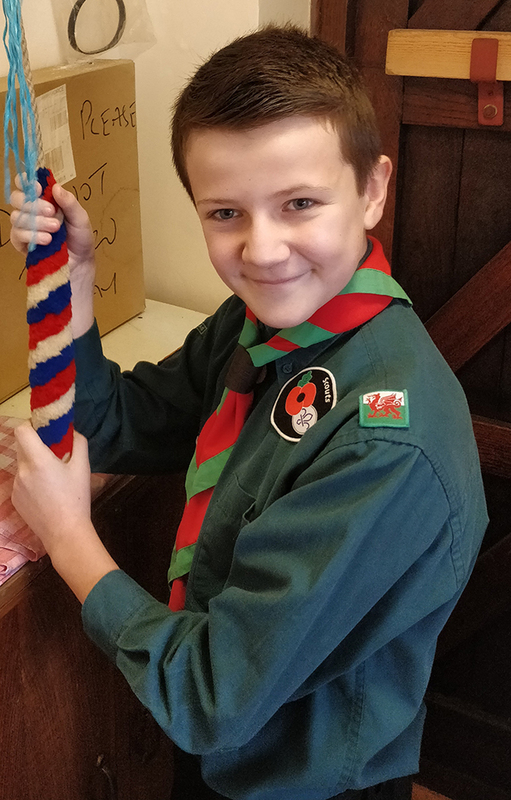 “At a request from the Archbishop, bells were rung in all three churches, and one of our younger members, 12-year-old Dylan from 5th Cwm Newydd Scouts in Penllergaer, rang the bell at 12.30pm in All Souls Church, Tycoch. 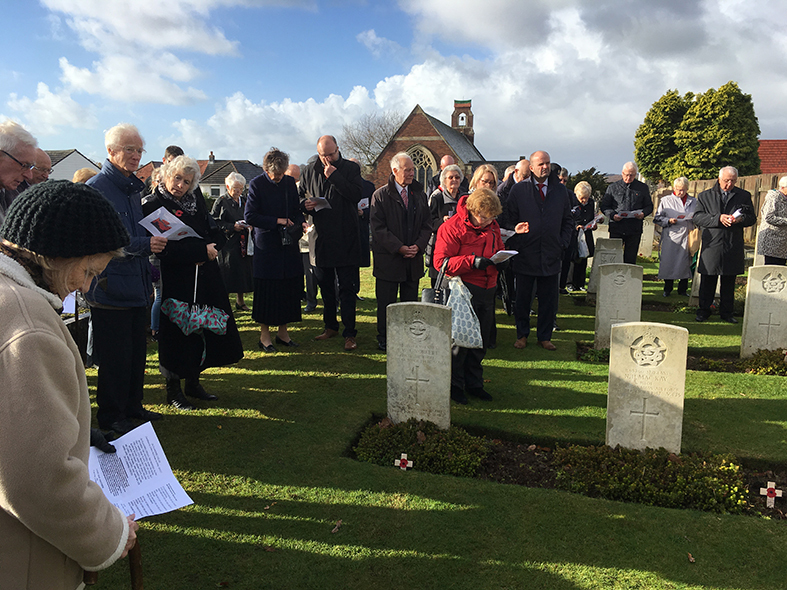 The service in Killay began with a two-minute silence at 11am. 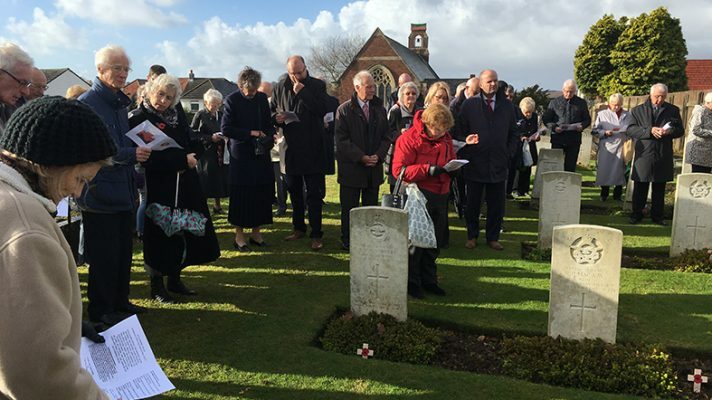 Following the service members of the congregation followed Canon Phillip to the graveyard and gathered around a number of war graves for a brief act of remembrance. “It is interesting to note that there are several members of the Czechoslovakian Air Force buried there, with the close proximity of Fairwood Airfield on the extremities of the parish. This Airfield was very busy during World War II,” Canon Phillip said. The bell at St Hilary’s Church was rung by Killay Churchwarden Mike Powell, whose own father had served in World War II. 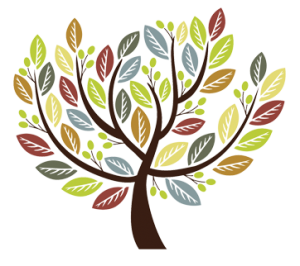 Mike said: “I was alone at the font of St Hilary’s Church about to ring the church bell at 12.30pm and I was aware of the peace all around me. There was no sound of voices, no distractions, no wind nor rain beating on the stained glass windows, no sounds of traffic from the nearby Gower road nor planes flying above from Swansea airport, previously RAF Fairwood where some of the fallen had taken off in their planes and never returned. “I felt honoured that shortly I was to ring out a bell of peace; a peace won by our fellow men and women firstly between 1914 -1918 and then 1944-1945. But the day was especially about the former and so I tolled the bell for five minutes. This was posted on 12 November 2018 and updated on 13 November 2018.